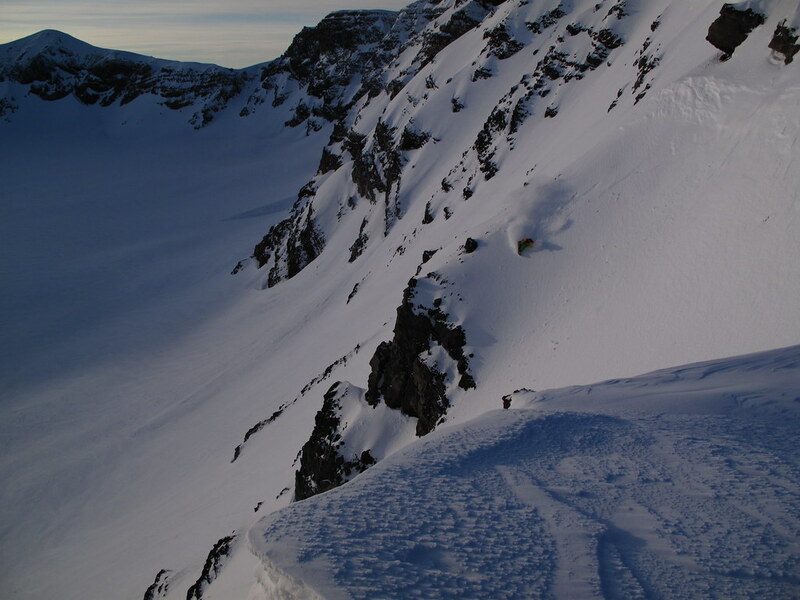 The experience of skiing into the crater of a Patagonian volcano is like no other! Volcano Puyehue stands tall in the Patagonian Andes of Chile at 2,236 m (7,336 ft) and its cone hosts a 2.4 km (1 mile) wide crater. A crater full of snow! For skiers, this means 360 degrees of options with the aspects. 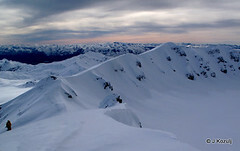 There are Alaskan style spines and lots of steeps. 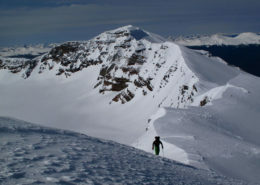 This magical ski spot is WAY off the beaten track, and it is an adventure that our mountain guides would like to share with expert backcountry skiers who want to experience something special and totally different. In September of 2009, we guided with the film crew Rocky Mountains Sherpas and Nate Nash (cameraman for Matchstick Production for 10 + years). We had a blast organizing logistics, guiding, and helping with the filming of the crater of Volcano Puyehue in Chile as it was skied by world-class athletes from Salomon, Helly Hansen, and 4frnt Skis: Mark Abma, Eric Hjorleifson and Chris Rubens. They shot footage to create an environmental film, “ALL.I.CAN”, and a TV show for Salomon Freeski TV. 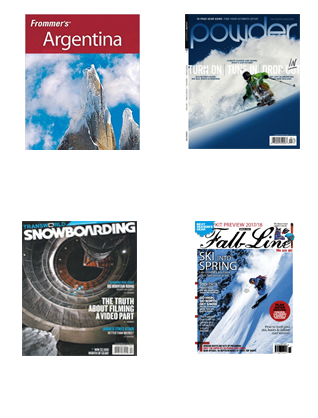 Due to our success from this ski film, we had the opportunity to repeat the adventure in 2010 with The North Face athletes for a snowboarding film and article in Transworld Snowboarding Magazine. 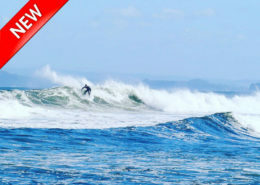 Check our page “In the News” for more info. 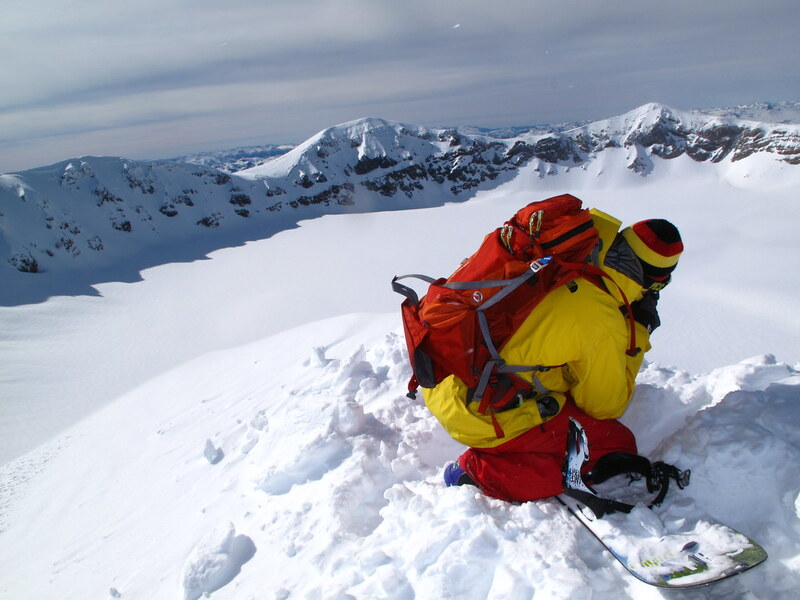 Your mountain guide will meet you in San Carlos de Bariloche, Argentina or Osorno, Chile. Drive to the base of Volcano Puyehue arriving in the afternoon or evening. Dinner at a small restaurant on a ranch owned by a traditional Chilean gaucho family. 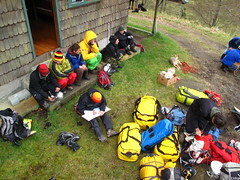 Start the morning by organizing our ski gear and loading it onto the pack horses. Approximately 4 hour horseback ride to get up to the mountain hut at 1400 meters. Here your guide will set up what will be our rustic, yet cozy, home for the next few days. Night in the mountain hut. 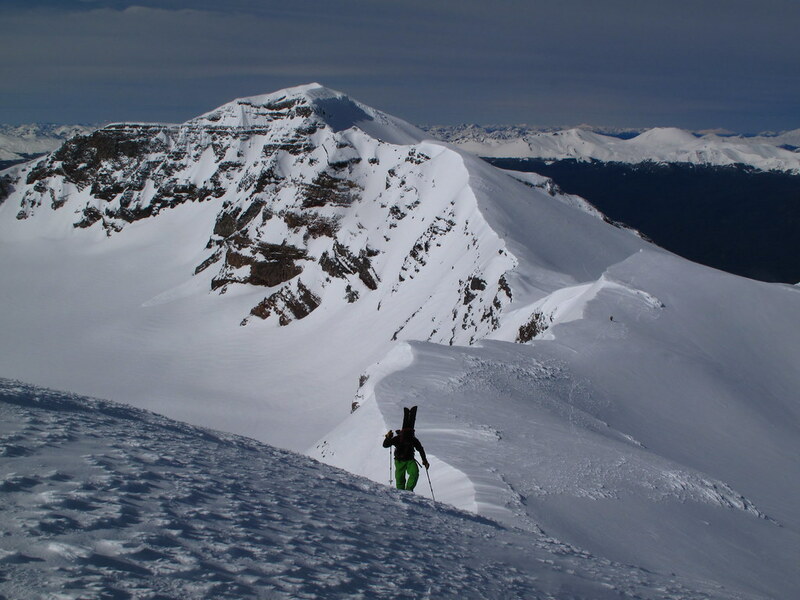 Early in the morning, we start ski touring to the summit of Volcan Puyehue. 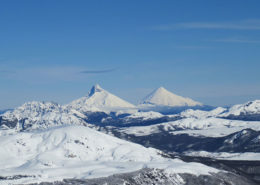 From the top the view of the Patagonian Andes is spectacular! 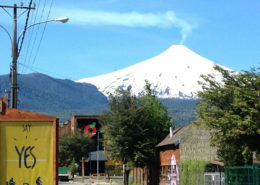 You can see other volcanoes in Argentina and Chile along the same fault line as Puyehue: Lanin, Osorno, Puntiagudo, and Tronador. According to conditions, we can ski from the summit into the crater of the volcano. Skin/boot pack out of the crater, choose another line, and ski down again! The lines we ski, and the number of runs we ski is dependent on skiers’ skill level and endurance. 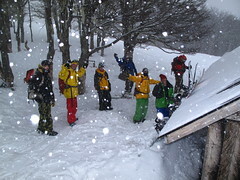 Long day on the volcano and then ski back to the hut. Repeat Day 3. Skin from the hut to the rim of the volcano and then ski down new lines. We can circumnavigate the rim of the crater, backcountry skiing terrain according to conditions. 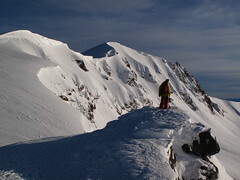 Option to ski down to hot springs and then traverse back to the hut. Night in the mountain hut. 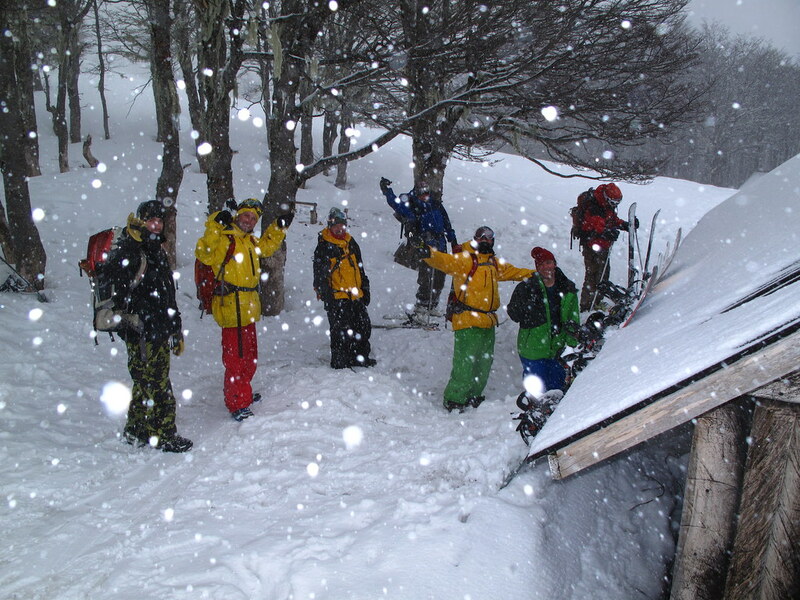 Ski and hike down to the gaucho’s ranch and dinner in a restaurant to celebrate. Option to go to different hot springs on the way back to San Carlos de Bariloche, Argentina or Osorno, Chile. Drop off at hotel or airport.